I heard on the radio that there have already been 54 murders in Belize since January, and that a few days ago so I'm sure the number is higher now. It's nothing new though - crime in Belize. Melvin built a little house way up here in the foothills of the Maya Mountains and hired four Guatemalans to work on the land during the dry season. When the rainy season came, he had to lay them off and told them to come back when it was dry again. A few months later, the dry season comes back around and the Guatemalans don't show up, so Melvin has to hire four new guys. A month or two after that, the Guatemalans show up and want their jobs back, but Melvin tells them, "Sorry, you weren't here and I had to get new workers." The Guatemalans ask if they can build themselves a little thatch hut on Melvin's land so they have somewhere to live while they look for work. Melvin has a wife and small child living with him and just doesn't feel like it's the most comfortable situation, if the Guats live on the land, so he says no. Over the next few weeks, Melvin notices the Guatemalans every now and then, and he feels like they're stalking him. One day, finally, they came up to his house and ask him to come outside so they could talk to him. Melvin had a bad feeling, but went out to see what's up. He said that they kept telling him to sit down so they could talk, but Melvin didn't want to sit down. After a few minutes, he decided that he was in a bad situation, so he turned around to go back inside. Just as he was opening the door, one of them hit him in the back of the head, and then they hog tied him while he was down. Melvin's wife and kid were just cowering in the corner while the Guatemalans robbed them of everything they owned, including Melvin's shotgun. They left, and Melvin's wife untied him, and the three of them ran down through the bush to make sure Melvin's father was ok - to check that the guys hadn't decided to stop there are rob the old man on their way back down the hill. Everything ended up ok, all things considered. While they were at Melvin's father's house they did hear a gun shot and later learned that the Guatemalans had used the shotgun in a robbery down in the village, but he doesn't think anyone got killed. Melvin and his family don't live up here anymore. The Guatemalans got away with it, and with probably a lot more home invasions and robberies and things like that. People get away with a lot here. It's actually really rare for me to read about or hear about someone actually getting charged with a crime and being sentenced to a prison term. We're getting guard dogs up here in a few months and eventually we might even hire and overnight security guard, and if I end up living in San Pedro again, I'd definitely want to adopt a dog for my apartment... I just wonder, is there any really safe spot in Belize? Somewhere that people feel ok leaving their house for a few hours without having burglar bars or guard dogs on duty? 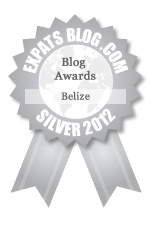 hey I have been reading your blog (and San Pedro Scoop & Be Belize and some others) - why did you move to belize? Had you visited before and loved it? I am (possibly) soon to be single - and soon to be 40 and really needing a change. 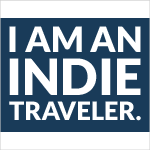 I have traveled to belize 10+ times but I cannot decide if I can make the move or not esp. being single - needing a work permit - not having a job - or a place to live and the crime..... what made you move? I've been coming down here for about 4 years - San Pedro was never my favorite place because of the trash, traffic and crime - but I just LOVE the mainland. You would definitely need a work permit if you need income since the retirement program doesn't apply to you until you're 45. I'm happy with my move, all things considered. And even though San Pedro is "not my favorite," I still look forward to moving back there for a few days a week so I can work - there are a lot of nice people living there and if that's where you end up, I'm sure you'll make some friends. Is SP where you would be moving to? If i were to make the move San Pedro is it for me. I love it there (but the crime worries me). I have some friends that live in Belize - some in the city some on AC - I think they might be able to help me with a work permit. I need a change. I guess I will just have to wait and see how my life plays out before I jump on the plane! You are living my dream!!! how many acres is that Melvin has for sale? Also, exactly what village is it near? I know most of the Hummingbird pretty well. I think he has 20 acres, and we're about Alta Vista village. Do you know where Macaroni Hill is? (Not the hotel, the actual hill) We're on the ridge of MacHill.